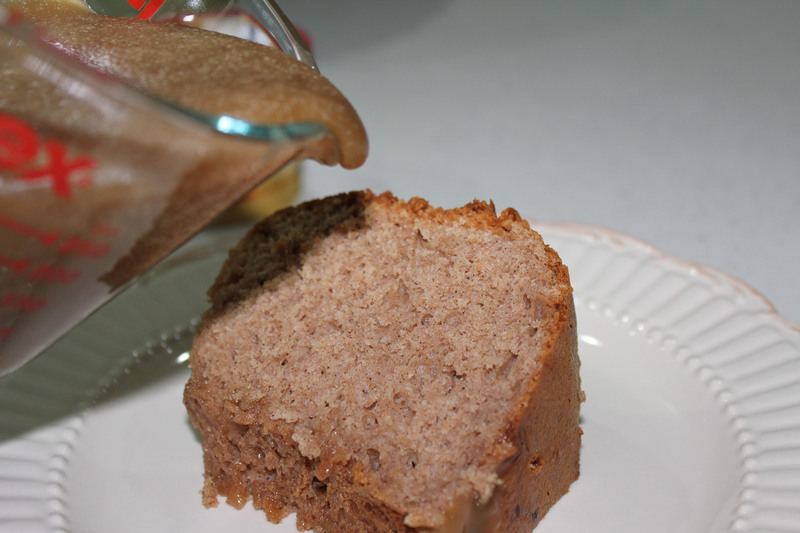 If you enjoy the flavors of cinnamon and nutmeg, you will love this moist cake that is easy to make. Topped with the vanilla butter sauce, it is the perfect end to a fall meal. 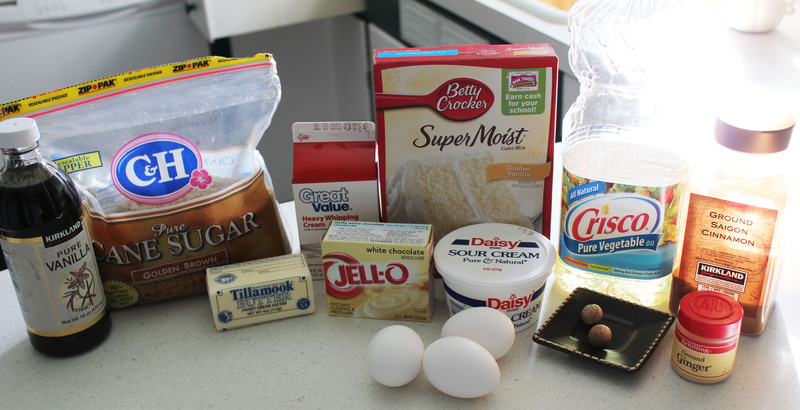 Mix wet ingredients with cake and pudding mixes. I grated nutmeg to go in the cake and boy was that an aromatic decision. The smell was delightfully divine. 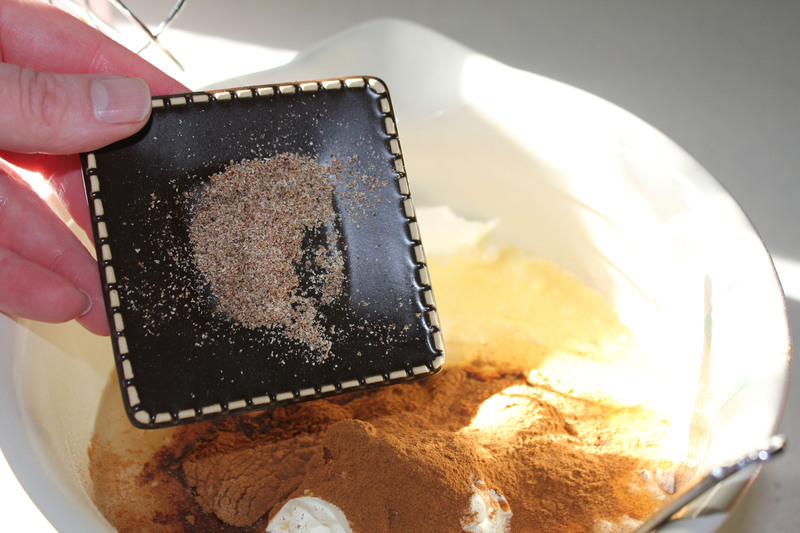 If your grocery store carries Spice Cake mixes, you could use one of those instead of a vanilla mix and adding spices. 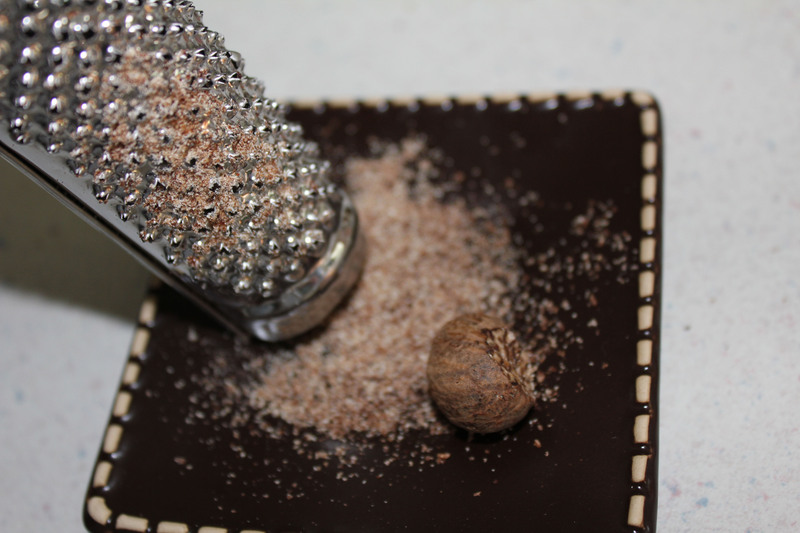 But if you do add spices, think about grating your nutmeg. Fabulous! 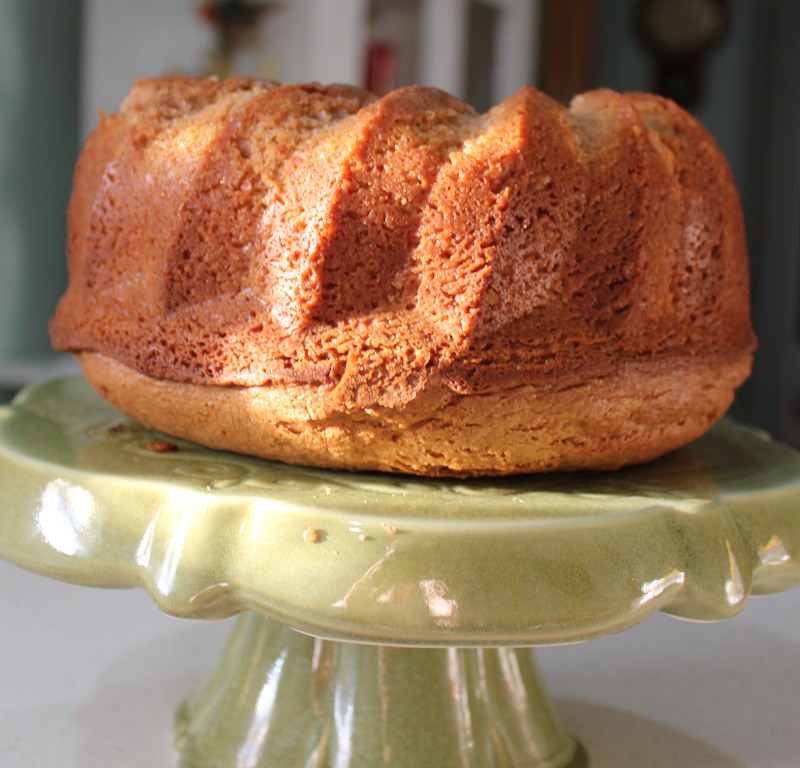 Spoon batter into bundt pan. It will be really thick. Even it off as best you can then bake in 350 degree oven for about an hour. 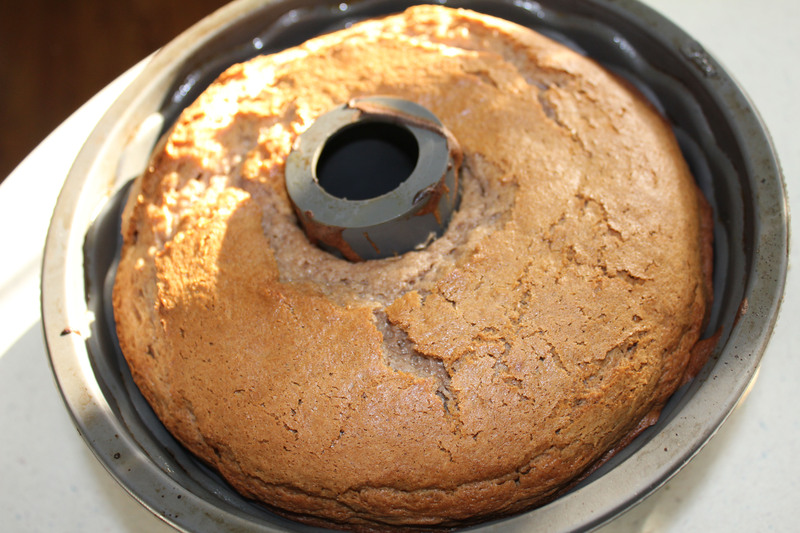 The cake is done when it is brown and starts to pull away from teh edges of the pan. Let cool completely then invert onto a cake plate. 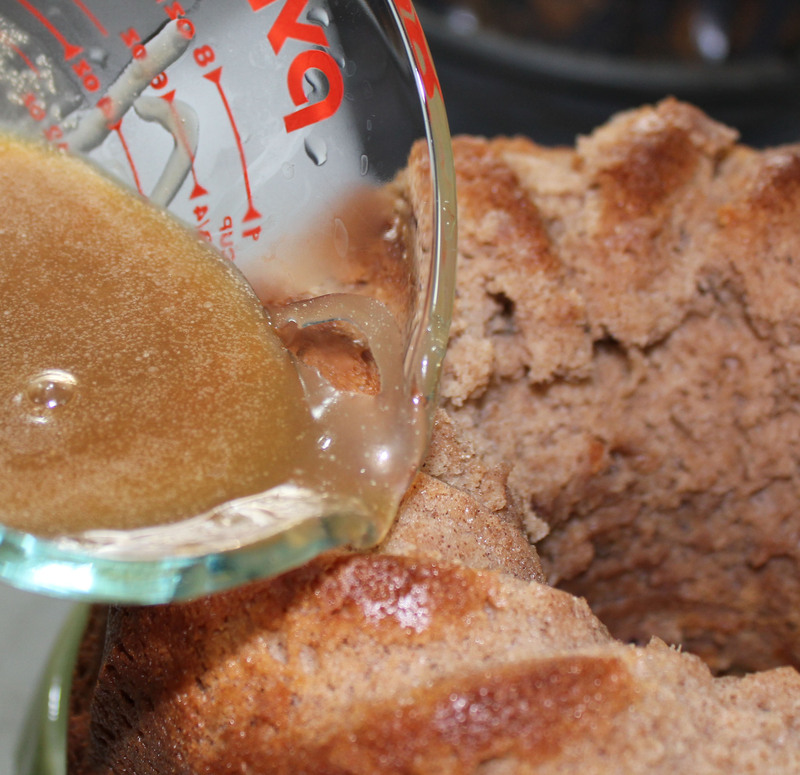 While the cake is cooling, make your butter sauce by mixing butter, sugar and cream in a heavy saucepan. 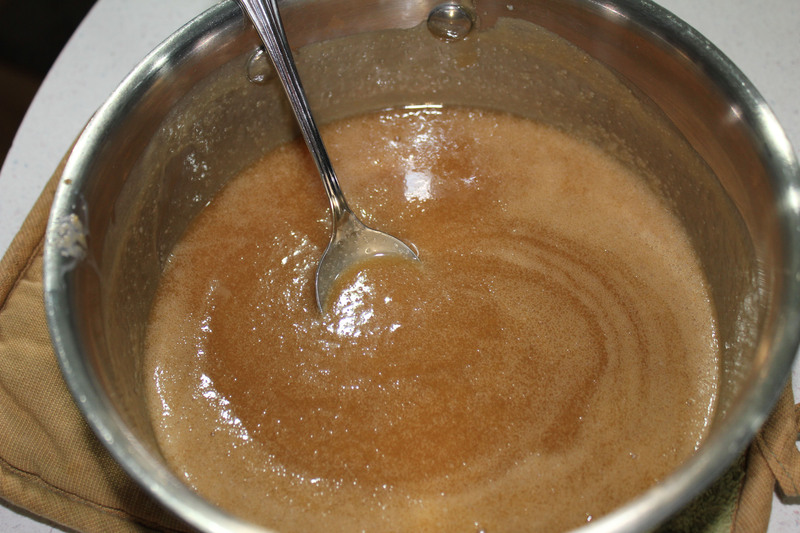 Bring sauce to a boil, stirring continually, then reduce heat and simmer for about 10 minutes or until sauce is thickened. And restrain yourself from licking off all the drips. 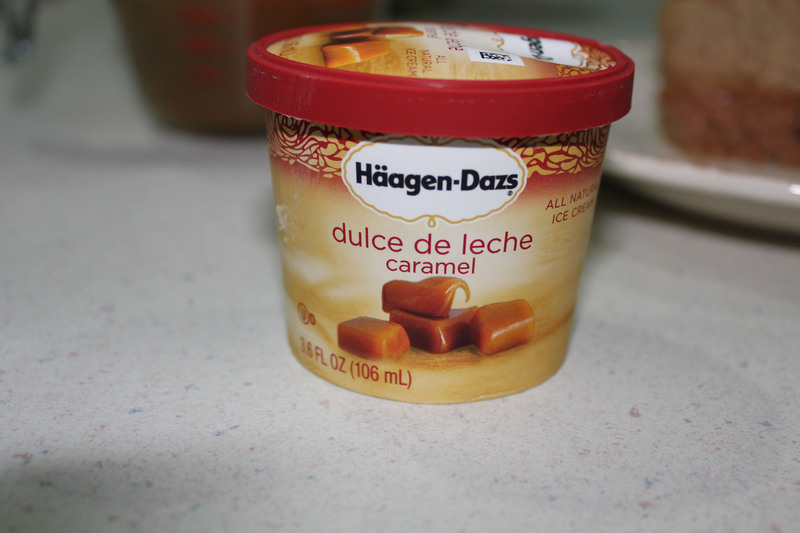 When ready to serve, thick about adding a scoop of dulce de leche ice cream or cinnamon laced whipped cream. 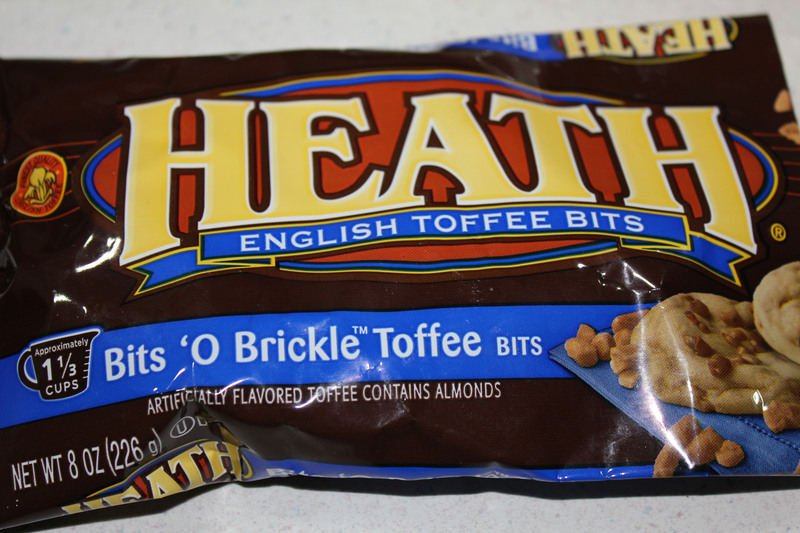 And sprinkling on some toffee bits. Once the cake was sliced, I added a bit more sauce. Then add a sprinkling of toffee bits and inhale the heady aroma of the spices. 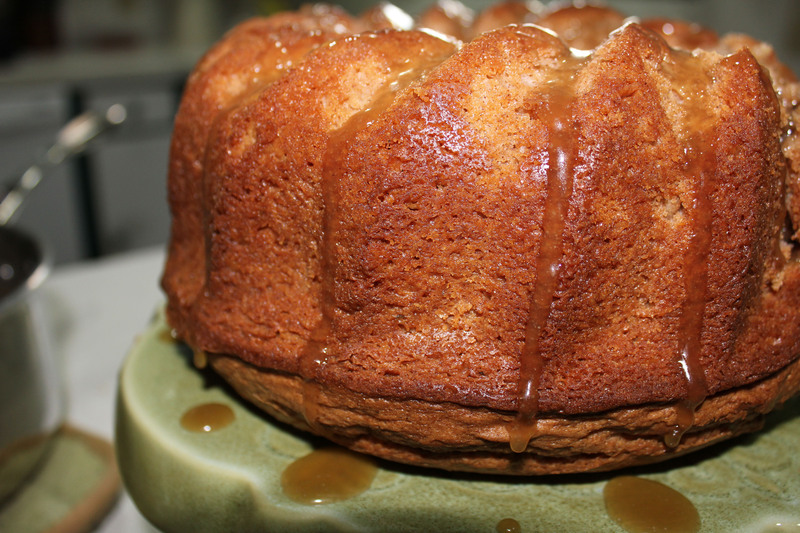 Take a bite and sink into a state of sugar-induced bliss. Note: If you want, you can purchase a spice cake mix and omit the additional spices. 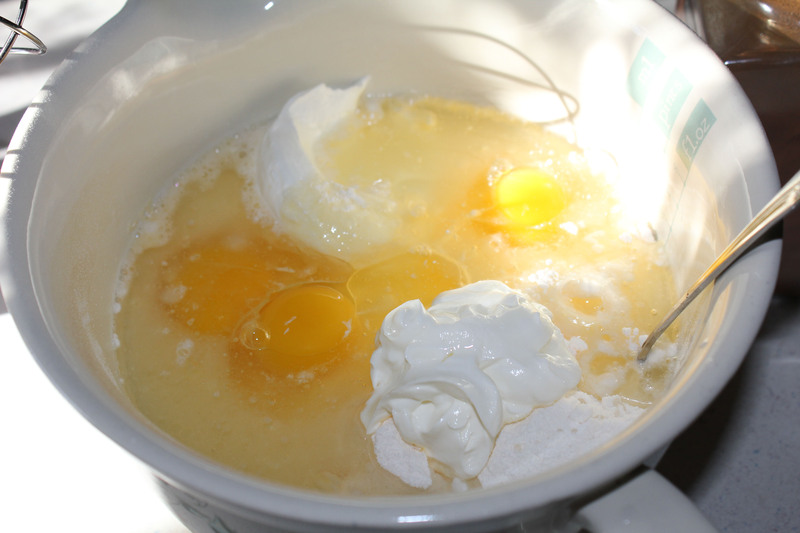 Beat eggs water, vanilla, oil and sour cream with cake batter and pudding. Add in spices. Beat on medium speed until combined. The batter will be super thick, so don’t panic. 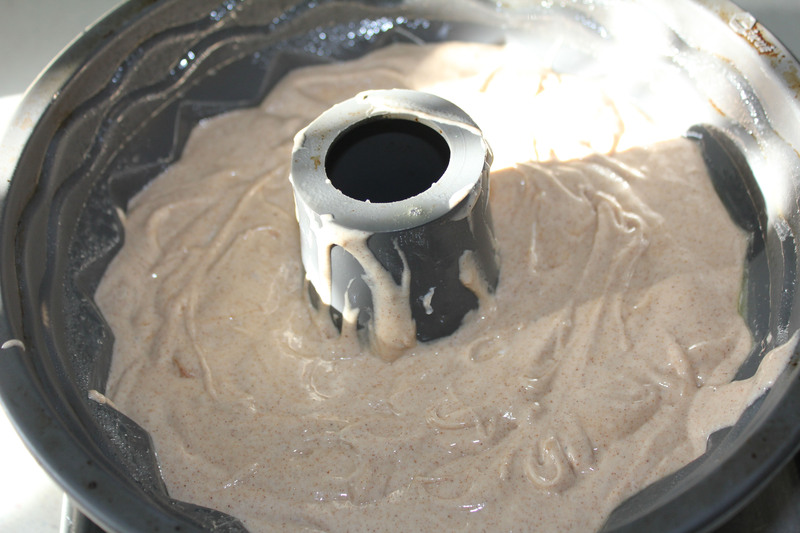 Scoop it into a greased bundt pan, evening it up as best you can (I tap the pan on the counter to get out air bubbles and even up the batter). Bake for one hour or until it starts to pull away from the edges of the pan. Let cool completely then invert on a cake plate. To make the sauce, combine butter, cream and sugar in saucepan. 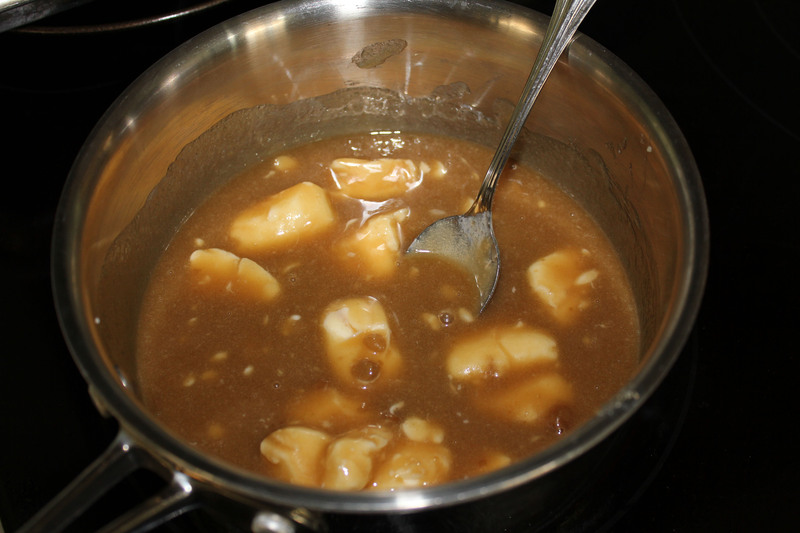 Bring to a boil, stirring consistently, then reduce and simmer for about 10 minutes or until sauce thickens. Add vanilla, stirring well. Cool slightly then drizzle over cake. 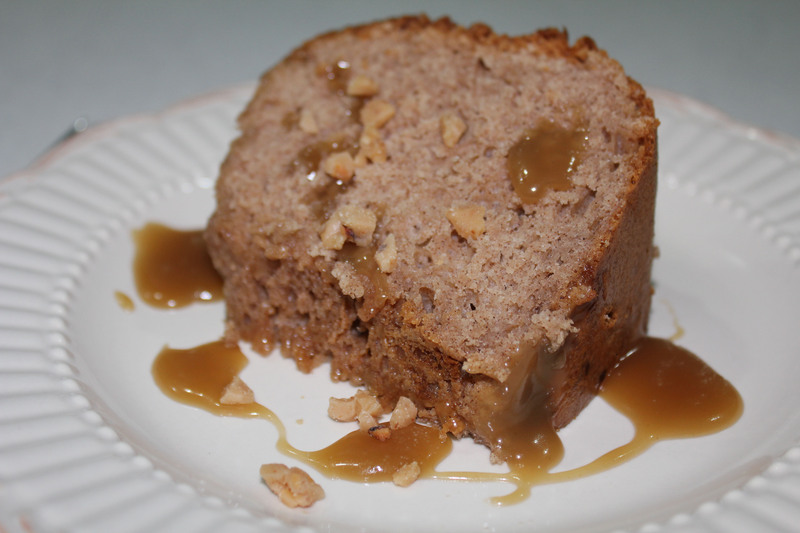 Serve with dulce de leche ice cream or cinnamon laced whipped cream. Yum! This sounds awesome – what amazing flavours.